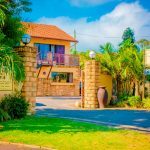 Situated on the Bluff in Durban you will find an upmarket bed and breakfast that will delight your senses when it comes to hospitality. 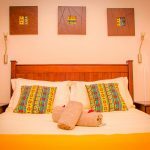 Comfort and style you will find in abundance, as it is our mission to give our guests total comfort and relaxation on their trip. Each room is equipped with a 32 inch TV, Air conditioning and WI-Fi, ready to move in and enjoy your stay with us.